Concierge is the epitome of luxury, where pampering is good business and a lynchpin to customer loyalty and consumer lifetime value. 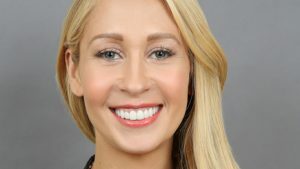 Amber Treshnell, New York-based CEO of Americas at John Paul, the leading global luxury concierge service, has much to share on one-to-one servicing in today’s fast-moving digital era. 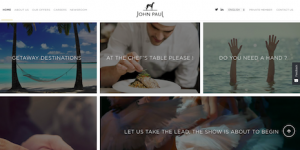 John Paul was acquired by AccorHotels in 2016 and is rapidly expanding in North America. Why are luxury companies using corporate concierges? Consumers have enormous choice today, so it’s crucial for luxury brands to differentiate themselves and ensure they have a welcoming and empathetic approach along the entire customer journey. Brands are providing concierge services for the same reasons luxury hotels do: they recognize that every customer is unique, they want to be intimately familiar with each customer’s preferences and they want to be available for their customers whenever and wherever needed. Providing concierge services is a great way to attract new customers, recognize and reward existing ones, engage more deeply with them, and establish long-term brand equity. Concierges think creatively and anticipate customers’ needs, and luxury companies can partner with them to create an emotional journey. For example, jewelry companies can offer concierge services to customers who have made a large purchase to help them plan the engagement, anniversary or birthday that correlates with that purchase. There’s no better way for a company to generate brand engagement and loyalty than assisting with these important life moments. In ecommerce, luxury brands can offer concierge services as a way to provide premium service and establish a culture of excellence. The best concierge service providers also have comprehensive preference and data-gathering know-how that brands can rely on as they build and grow their own customer relationship management (CRM) platforms. What kinds of concierge services do luxury companies use? Our customer requests range from the simple to the extraordinary. The most commonly requested services include booking hard- to-get dining reservations, making detailed travel arrangements, getting tickets to popular events, and shopping and gifting. We also offer errand services, which are particularly useful for busy customers who need their oil changed, refrigerator stocked or dog walked. But with more than 1,000 employees on five continents, we’re able to fulfill even the most spectacular requests. For example, we once arranged a temperature-controlled penguin display at a party. How do you help solve some of the challenges luxury retailers are facing today? The main challenge they face is standing out among the competition, so many brands are seeking new and experiential ways to differentiate themselves and attract, retain and reward customers. Regular touch points, enhanced delivery and after-care services create deeper relationships and long-term loyalty, and that’s where we can help. We work as a strategic partner to help brands understand their market, customers and goals. Then, we customize a strategy that may include personal concierge services and a highly personalized loyalty program that makes customers feel valued and privileged. We help brands create an enriched brand experience that goes far beyond the product. What types of companies does John Paul work with in North America? Primarily our client companies are in the luxury, banking, automotive, technology and hospitality industries. How did the AccorHotels acquisition affect John Paul? The synergies are massive. Together, we have access to 6,000 hotels, 5,000 restaurants, 50,000 suppliers, 10,000 partnerships and 20,000 concierges worldwide. This network allows us to offer a 360-degree approach to customer loyalty – meaning we can develop, source, implement and manage a program. That’s never been available before in the concierge industry. What are your top initiatives in North America for John Paul in 2018? We have three main objectives: drive growth, use technology to offer a better experience and innovate. First, we plan to expand our position as the premier provider of concierge and loyalty solutions in North America, expand our partner network, and roll out our services to new companies while expanding into new verticals. Second, we’ll continue to focus on technology. We’re unique in our ability to combine traditional concierge and loyalty services with cutting-edge digital services. By integrating the latest technologies into a traditionally low-tech industry, we offer a truly unique experience. Third, we’ll focus on innovation. Our soon-to-launch New York Innovation Lab will showcase our technology, mobile applications, chatbots and artificial intelligence developments. We’ll look for the newest, most-promising U.S. tech companies to ensure that our platform integrates with state-of-the-art functionalities. We’re dedicated to M&A and executing our open-aggregation digital strategy. How do you use technology to help drive personalization? We use technology to enhance our CRM and empower our concierges. Our profiling engine uses natural language processing, look- alike predictive analytics and custom recommendations to personalize the interaction between concierge and customer. Our recent acquisition of Shuffle, a data aggregation and processing company, will enable our concierges to better predict what customers want and make more personalized recommendations. We’re also constantly innovating our mobile app, so that our clients can offer concierge services to their customers on the go. The app can be fully integrated into a brand’s native app to provide a range of privileges that can be customized based on location, local time and preferences. So can John Paul can create high levels of personalization at scale? Our success lies in our ability to combine technology, 20,000 world-class concierges, and the industry’s broadest network of hotels, restaurants, suppliers and partners. By tapping into the brainpower of our concierges and leveraging our network, we’re able to develop highly customized loyalty programs. We then use our technology and proprietary CRM system to roll out these programs to large numbers of users and field requests in real time. I like to say that our solutions are digitally enabled with a human touch. Our technology allows us to do incredible things that others simply can’t, but the nature of our business means we’ll always provide the human element to ensure personalization and consistency. What is John Paul’s competitive advantage in North America? Innovation. As an early tech adopter, we’ve stayed years ahead of our competition by bringing high-tech solutions to a traditionally low-tech business. While most concierge services still rely on phone and email, we’re using chatbots, voice analytics, artificial intelligence and natural language processing to better serve our clients. We also have an unparalleled network. Our strategic mergers and partnerships enable us to offer access to the best and largest number of concierges, hotels, restaurants, events, suppliers and services in the industry. And our network of 400 errand runners can take care of any small tasks that our customers choose to outsource. Another thing that really differentiates us is our concierges. They have a passion for helping customers and they’re well trained to handle any type of request, so there’s never a need to put a client on hold or transfer a client to another specialist. How does the concierge offering make money? Does everything purchased through the concierge come with a markup? While some concierge services do charge a markup, we don’t. We use a subscription-based business model, so companies pay an annual fee to be able to offer our services, free of charge, to their own customers and employees. Essentially, we employ a B2B2C model – companies pay us to provide services to their customers or employees. Describe some of the most extraordinary or unusual requests John Paul has received. This past holiday season, a client in California wanted to serve her friends and family a Christmas Eve dinner from her favorite restaurant, which was 6,000 miles away, in Venice, Italy. One of our concierges researched how to maintain quality control and freshness during shipping, and then coordinated with the restaurant in Italy and FedEx to arrange for 40 servings of authentic Italian lasagna to be delivered to our client on Dec. 24. It turned out to be a very Merry Christmas for that client. We’ve also coordinated a viewing of the aurora borealis from an igloo in Sweden, arranged a visit to Santa’s “house” in the Arctic Circle and planned a bachelor party on a private island in the Pacific. Many have said that millennials are all about experiences rather than goods/services. How have you adapted John Paul’s business strategy to address this? Thankfully, we haven’t had to change our strategy, as we have always focused on providing our clients with an experience- driven approach. But many of our recent program launches have stemmed from companies realizing that they need help building loyalty among millennials, particularly affluent millennials, a subset that spends north of $2 trillion annually. You’ve mentioned this concept of “brand hospitality.” What does that mean? Brand hospitality is the notion that to maximize brand value, companies must find innovative ways to engage their customers through a highly personalized journey. Creating a deep emotional connection between brand and customer drives long-term loyalty, and we help brands create that connection. By combining technology with premium concierge services, we’re able to learn customers’ preferences, anticipate their needs, and provide products, services and experiences that add real value to their daily lives. I understand you work with luxury retailers and affluent- to-UHNW customers from all over the world. What sorts of trends are you seeing in the luxury retail market right now? Customers are increasingly interested in limited-edition products. Discontinued toys are popular, too. We’re also seeing that the research-online, purchase-offline trend is specific to luxury – it’s the opposite in the mass market. So, luxury brands have to invest in their customer service to make sure they drive traffic to their stores. And we’re seeing more and more retail travelers, or people who travel primarily to shop and expect to receive the same level of service all over the world.